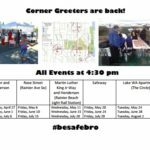 Looking for you at Corner Greeter Events! 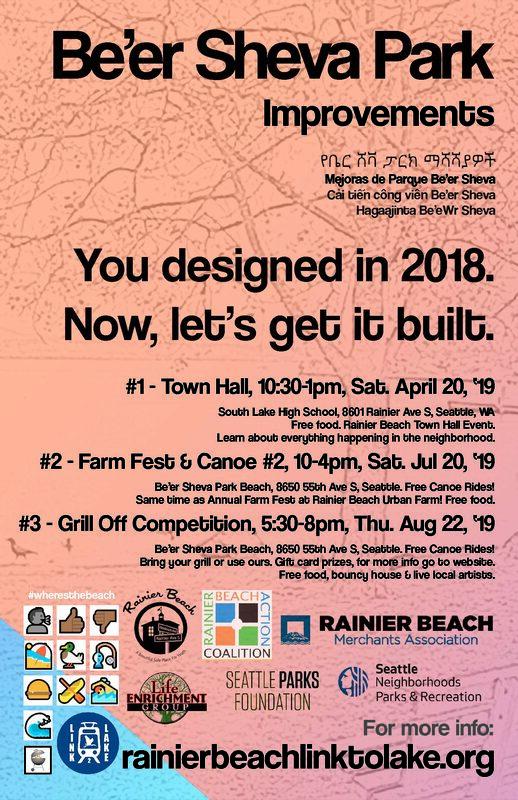 The Corner Greeter events were designed by the Rainier Beach neighborhood at the May 2014 Gathering event in Rainier Beach, WA (South Shore PK-8). It’s a pop-up style event (canopy, table, shares, literature) held on a rotating basis at five geographic focus areas. These Corner Greeter events bring people together to foster interaction that build community. They are designed to engage passers-by in fun activities and information sharing. The primary goal is to develop a following of neighborhood volunteers (residents, businesses, stakeholders, youth, adults, and families, organizations welcome) to provide stewardship of the Corner Greeters and guardianship of the geographic focus area space they live, work and/or play in. See list on other side. Rainier Beach Action Coalition (RBAC) who operates this youth and neighborhood intervention has placed young adults in charge of running the Corner Greeters and would like the neighborhood to take leadership from them. 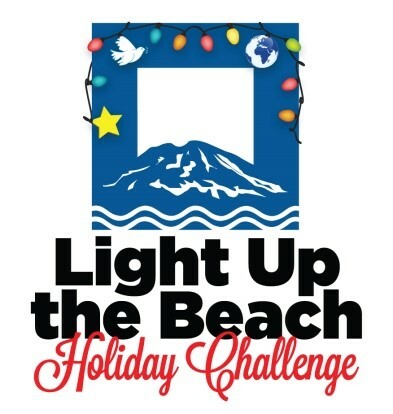 Most are high schools students from Rainier Beach High School. 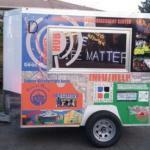 A Mobile Discovery Center and Southeast Seattle FreedomNet are regularly on site contributing to an innovative non arrest crime intervention for our neighborhood. FYI Crime is down in Rainier Beach 40% since 2013. May 31, 2016 Weekly Update of the Corner Greeters! 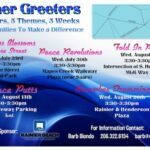 July 21, 2014 Corner Greeters Come to Rainier Beach! 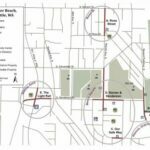 PreviousOur Rainier Beach Neighborhood Report Card! Next3 on 3 Basketball Tournament!